that his absconding from office and secret exit to the United States was not unconnected to visit his wife (Yarádua's daughter) in the delivery of her new baby while his state is under fire. The gallivanting Governor has not spent more than three days in his State at a stretch to attend to officials calls; rather he has been traveling to Saudi to visit his father in law, escorted his wife to the US and spent time in Abuja plotting the government takeover with his kitchen cabinet cohorts. Unfortunately, records have it that the State as at Press time has recorded 8 deaths and several houses set ablaze. Potential victims are also reported to have fled to neighboring state to scamper for safety. The bizarre developments were coming after Farouk Abdul Mutallab's foiled terrorist attack on an American air bus, Northwest Airlines Flight 253. Consequently, Police Command Public Relations Officer, Mohammed Barau confirms that a combined team of regular policemen and mobile police have been deployed to the area to maintain law and order. 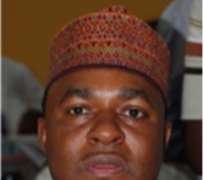 The secretary to the Bauchi State Government, Alhaji Hamed Ibrahim Dambija in a statement described the incident as a disagreement between members of a religious sect following a misunderstanding which miscreants hijacked. He however says that the situation has been brought under control. This is the third religious disturbances in Bauchi in the outgoing year 2009 including the dreaded Boko Haram which claimed many lives and properties worth millions of naira. It would be recalled that the Islamic sect Boko Haram had declared total Jihad in Nigeria, threatening to Islamize the entire nation by force of war. That was credited to a statement dated August 9, 2009, and made available to huhuonline.com, the sect whose activities led to the lost of hundreds of lives in northern Nigeria declared that their leader Yusuf who was killed in controversial circumstances during the crisis, lives forever. In what looked like a declaration of war on the rest of the nation, the Boko Haram sect said it will unleash terror in Southern Nigeria in August 2009, beginning with the bombing of Lagos, Ibadan, Enugu to make good its words. ''(1) First of all that Boko Haram does not in any way mean 'Western Education is A sin' as the infidel media continue to portray us. Boko Haram actually means 'Western Civilisation' is forbidden. The difference is that while the first gives the impression that we are opposed to formal education coming from the West, that is Europe, which is not true, the second affirms our believe in the supremacy of Islamic culture (not Education), for culture is broader, it includes education but not determined by Western Education. It is however, a common knowledge that the nation of Nigeria is multi-ethnic and multi-religious, and ethnic and religious tensions erupt from time to time. However, the current crisis in parts of northern Nigeria is evidently related to radical Islamists who want to impose Sharia Islamic laws on all non-Muslims and to Islamize Nigeria by force. Therefore, the country's security agents should work on crushing every tendency whether by an individual or group, nationally or internationally to thwart the peace of the country under any guise, knowing fully well that, that could further damaged the image of the country in the instance of these religious extremism. At the moment America and other Western nation are now placing closer watch on Nigerians who are within their territory, as a consequent of December 25, averted terrorist attack on their citizens.